The Camborough 29 is a mixed hybrid Parent gilt designed specifically for premium performance in the areas of prolificacy and maternal instincts. Bred from the highly prolific Line 02 from PIC International, this female offers producers a unique combination of productivity and durability. 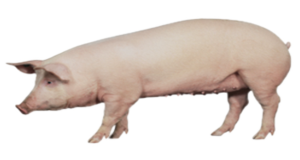 The Camborough 29 gilt is designed to produce a high number of full value market pigs sold per lifetime. This gilt is for pork producers who want to lower cost of production through greater output per gilt entered into the herd. *(South Island only). The Camborough 46 is the latest parent gilt product selected to continually improve litter size at birth and litter weaning weight in addition to growth rate, feed efficiency, ability to come on heat, feet and leg soundness, and teat number. The Camborough 42 gilt is a first cross Parent gilt. It is the result of a combination of classic hybridisation and quantitative genetics with breakthrough technology. 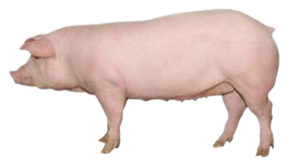 This high performance gilt is suited to sympathetic environments where a high level of management allows the Camborough 42 gilt to express her full genetic potential.